Last week, BuzzFeed revealed that in 2015, Conyers settled a sexual harassment and wrongful dismissal complaint with a woman who said she was fired the year before because she refused to provide sexual favors to him. Another former staffer of Conyers said she faced daily harassment from him in a separate, sealed lawsuit that she attempted to file this year. But the woman abandoned the effort after a judge refused to seal the suit. The House Ethics Committee has launched an investigation into the claims. Conyers announced on Sunday he will step aside as a ranking member of the House Judiciary Committee while the Ethics Committee reviews the allegations. But Pelosi would not say whether Conyers should resign from his seat in Congress. 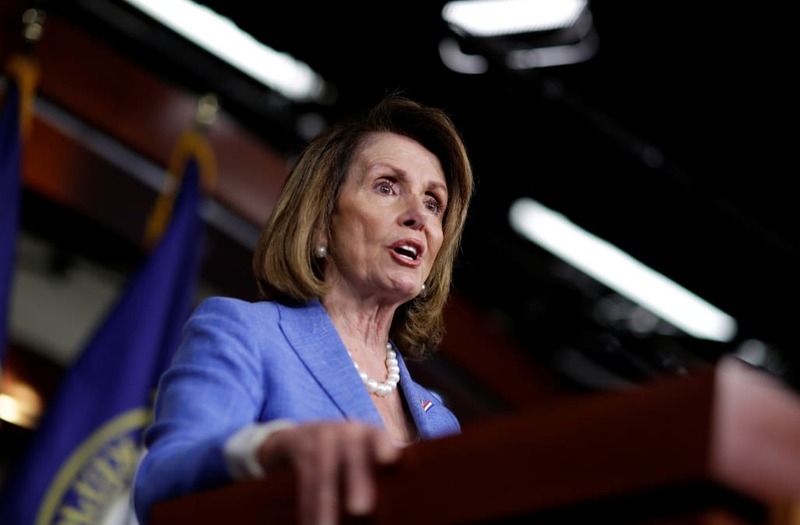 Pelosi was asked by “Meet The Press” host Chuck Todd whether she believes Conyers’ accusers? “We must ensure the Congress has a climate of dignity and respect with zero tolerance for sexual harassment,” she said. Earlier Sunday, President Trump reiterated his tacit support for Roy Moore, the embattled Republican candidate for Alabama’s U.S. Senate seat, despite multiple allegations of sexual misconduct and assault against him. The president blasted Moore’s Democratic opponent, Doug Jones, in a pair of tweets.